Here’s a complete step-by-step guide on how to restore backed-up Cydia jailbreak tweaks, apps and sources on your iPhone or iPad. Complete details on how to do so can be found right here. There are certain pitfalls when you’re using a jailbroken device. One being; backing up and restoring packages after a firmware restore. 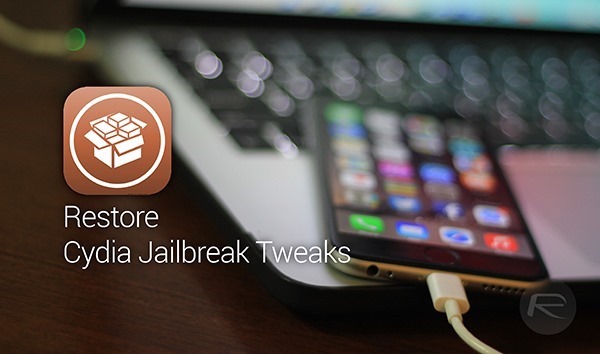 While the whole modern jailbreaking process is relatively simplistic and is made extremely easy by the teams behind them, but restoring installed Cydia apps, tweaks and sources seem to be nothing short of terrifying for a lot of individuals. Thankfully, Cydia itself houses an app called PKGBackup which aims to be a cloud-aware de-facto choice for backing up and restoring jailbreak packages. Carry on reading below to see how you can easily restore your backed up packages. Step 1: Download and install the PKGBackup tweak from Cydia. It can be found in the BigBoss repo and costs $9.99. Once you’re done installing it, launch the app from the home screen. Step 2: Tap on the round Restore button in the center. The name of the backup which you’re restoring will be displayed at top. If you want to restore some other backup, then simply tap on the backup’s name and you’ll be presented with more options. 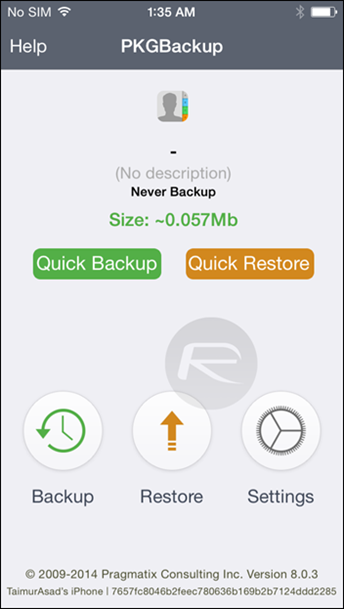 Move to Step 3 once you’ve selected the backup which you want to restore to. Step 3: Now tap on the orange Restore button. You’ll be presented with a pop-up confirming your action. Step 4: The restoration process will now begin and after a few minutes you’ll be presented with another pop-up asking you to reboot your device. Once you’re done and booted up, all your jailbreak tweaks, apps and sources will be back to the state when you backed them up. The process is fairly simply, and we highly recommend all jailbreak users out there that they regularly make backups of their tweaks and apps. You might want to update to a newer version of IOS and try again. Worked well for me on 8.01, works well for me on 8.1. Fair enough…I’m a little tired and, truthfully, didn’t think about that probability. If you believe your backup contains incompatible tweaks, you can disable then all and then remake then, one by one, until you find the one causing the issue (iCleaner Pro). You could also go through the list of compatible/incompatible tweaks (multiple postings in Redmond Pie linking to the list) and remove any that are listed as incompatible. I know Redmondpie has often plugged various apps, but this crosses the line to shameless advertising… When you release a guide to “do something”, the instructions shouldn’t simply be “download this $10 app”!!!! I highly recommend adding this Cydia source below into Cydia to have access to all the top Cydia Tweaks named above in the article for FREE. This will automatically add all the best Cydia Sources which gives you access to all the best Cydia Tweaks, Themes and Apps for FREE with just a push of a button. Follow the steps below. 5. Type this url in the box (cydiasource,n e t) without the spaces and switch coma for a dot in the url. Sweet! 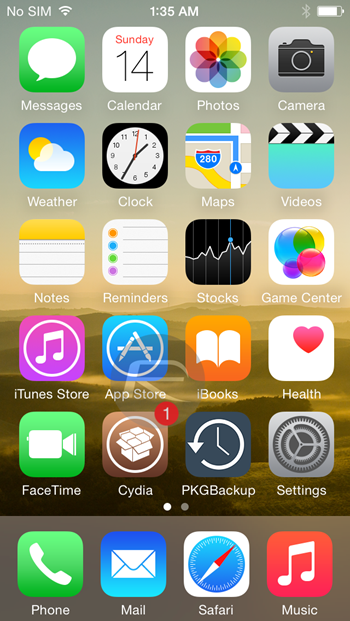 This cydia source has every tweak I can randomly think of for absolutely free. Including this tweak mentioned in this PKGBackup tweak mentioned in this article above. Those aren’t the best sources, don’t load. An update to PkgBackup was pushed, yesterday.